Click ---> HERE <--- for more information. Welcome to Tree of Life Lutheran Church. 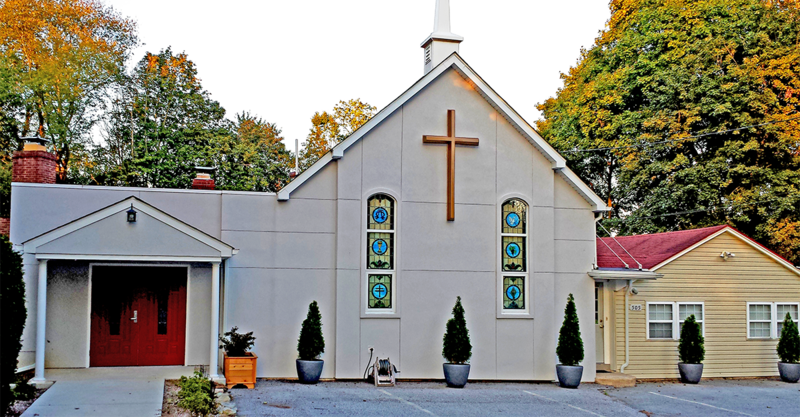 We are a growing congregation located in Odessa, Delaware, that is a part of the Evangelical Lutheran Church of America; who, in a friendly and relaxed atmosphere, teaches the Gospel of the Lord and shares a living, daring confidence in God's grace. Liberated by our faith, we embrace you as a whole person--questions, complexities and all. Join us as we do God's work in Christ's name for the life of the world. To be faithful children of God, called by grace through Christ, and sharing this gift with Middletown, Odessa, Townsend and the World. This is our mission statement. In carrying out this mission, our congregation is a friendly and active one. We offer Sunday morning worship service with holy communion at 10:30 am that is filled with a mix of traditional and contemporary music. We are a Member of the Evangelical Lutheran Church in America - Delaware Maryland Synod. Children's Faith Formation (a/k/a Kingdom Kids) is for children Pre-K to Grade 6 and meets on Wednesday evenings 6:00 - 7:15 pm. We enjoy opportunities for Outreach with our main focus on our monthly Grocery Club. In addition to a coffee hour after each Sunday's worship service, we also have fellowship activities throughout the year, i.e. our Fall Festival, a progressive dinner, and a summer picnic. Our OWLS (Older Wiser Lutheran Seniors) enjoy getting together for an outing every month. Throughout our worship, activities, fellowship, and living our lives, we carry the love of Christ with us and strive to share the teachings and love of Jesus with all. We invite you to visit us soon and hope you find a church home here at Tree of Life.